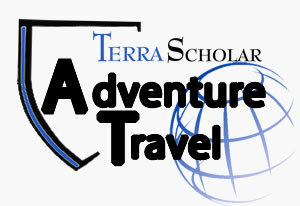 Each year the NHSA , through its affiliate, Terra Scholar Adventure Travel, will coordinate at least one “Adventure Travel” opportunity whereby any NHSA member can participate. The NHSA completely understands that travel of any kind may not be in the budget for many homeschool families but we don't want our members to miss out on literally life changing adventures for lack of funds. With a little time and elbow grease even whole families will be able to join us. Check out the "Fundraising Options" under the "Activities" section of the NHSA website to see the various ways that the necessary funds can be raised, through the year, to cover not only educational materials but also for Adventure Travel opportunities. The first such opportunity that you won't want to miss will be announced shortly for 2019 but it has already been determined that the 2020 Adventure will be a special 6-day/ 5-night program at Space Camp in Huntsville, Alabama starting in late August, 2020. The Space Camp experience is one that most children will never forget and the program that Space Camp has designed for us will allow whole families to participate from age 9 on up. Subsequent trips might include something as normal as an extensive week long exploration of Washington D.C. to provide insight into the “real” history of the USA to something as exotic as a trek through the mystic mountains of Peru and the ruins of Machu Picchu. We invite any member who has an idea of an Adventure, that a large group of homeschoolers could do together, to send those ideas to us at AdvTravel@NationalHomeSchoolAssociation.com so we can see what can be done. Children and adults alike learn best when they can experience something. The adventures will all be learning experiences that will last a lifetime. Again please check out the Fundraising Options section now to see how your family can start raising funds for these adventures and other school expenses as well.